In 2013 Amy started working for James Caan as a strategic advisor. After just 3 months she launched Recruitment Entrepreneur (RE) with his backing. RE is now in its second year, and is the fastest growing recruitment venture capital fund in the country. Recruitment Entrepreneur is designed to invest only in early stage recruitment companies. They provide funding but also tailored support (from the nitty gritty back office functions, through to mentoring and CEO coaching). Amy graduated from Cambridge University in 2008 and joined the Strategy team at Deloitte Consulting. At Deloitte, Amy worked with SMEs and large Corporates, helping them set their business growth plans as well as supporting businesses that were preparing for sale. 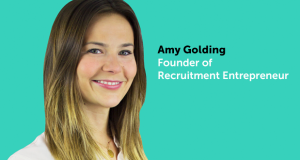 Amy’s role at Recruitment Entrepreneur is to help each Entrepreneur set and achieve their personal goals, as well as defining the strategy of the RE portfolio as a whole to make sure they are always offering the very best support. She is also focused on supporting Entrepreneurs towards the right exit, at the right time, to create as much value for them as possible. So…. 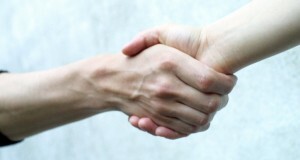 you’re DEFINITELY going to start your own recruitment business? !